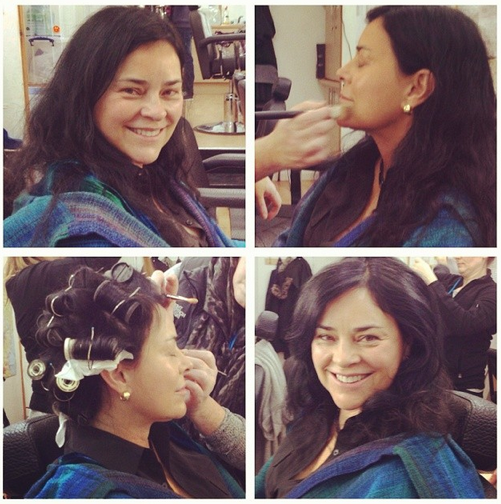 My OUTLANDER Purgatory: Diana Gabaldon: Ready for her Close-Up! Diana wrote on CompuServe about these photos: Actually that hair and makeup job was for Tuesday--Press Day. I.e., they glammed me up to do zillions of interviews all day. _Yesterday_, the hair and makeup took an hour and a half (plus Costume, which took a full half hour to be built/laced/stuffed into). The results were Amazing (which is all I'll say about it ), but I'm not allowed to show any pictures or tell people my lines, etc. Filming was tremendous fun, but man, it was a long day--I only worked on camera for the first five hours, but then after lunch did more interviews and photos. They didn't get through all the stuff they needed (had to stop to do camera/technical stuff), so I'm back on set this morning--being picked up in about twenty minutes and I'm still in my bathrobe, so gotta scoot. Oooh I didn't see this! 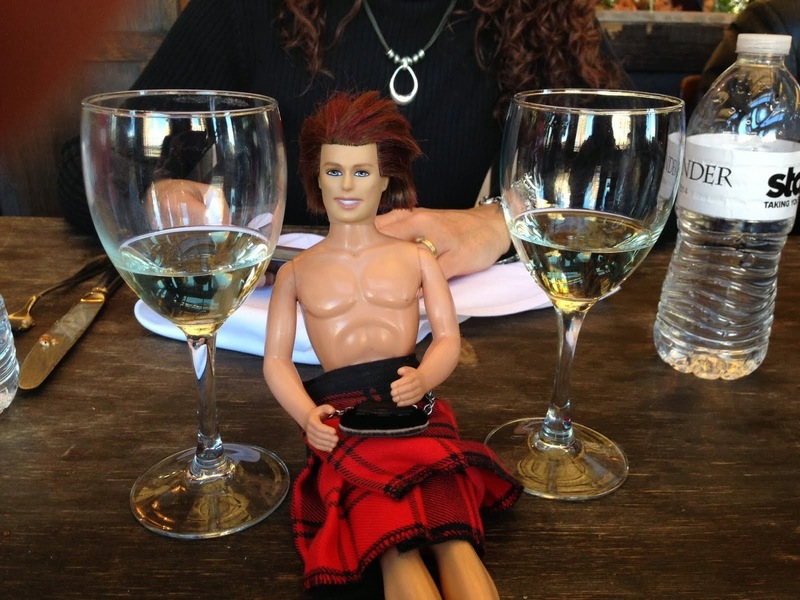 Thanks for posting, Connie! !